I called this post ‘These Little Things’ not for the reason of contrast between the title and the photo (OK. That is assuming that I am assuming my snow pea is actually big) – although it does fit in – but rather for the reason of observation. You see, whenever I am in the garden, I observe, either consciously or subconsciously, little things that help me understand more about it every day. The reason for showing this photo is just that – one of those observations. The past few days have been a mix of sun, wind, light & heavy rain. 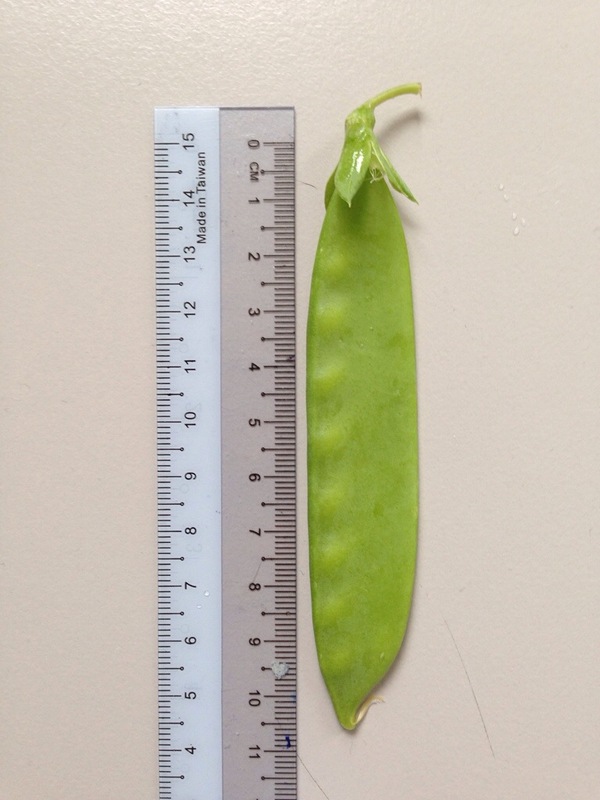 I noticed that the snow pea plants were growing their fruit rapidly as usual, however, many of the snow peas stayed small and started fattening up – a sign of a maturing pod. If you leave it on the vine long enough, it will simply turn yellow and dry out. You can then harvest the seeds for sowing. But because of the nice rain over the past day or two, I was able to harvest many long, young snow peas, comparable to those you get in the supermarket – all because of a little rain. I think – anyway. This one was 10.5 centimeters long. Amazing. If anyone has any thoughts or similar – do let me know!